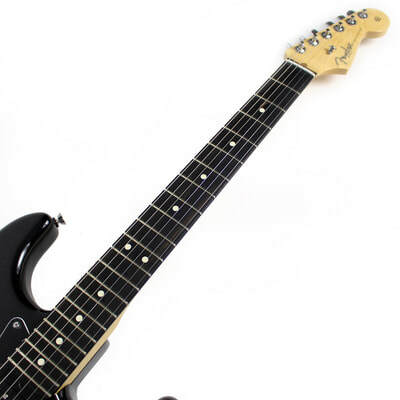 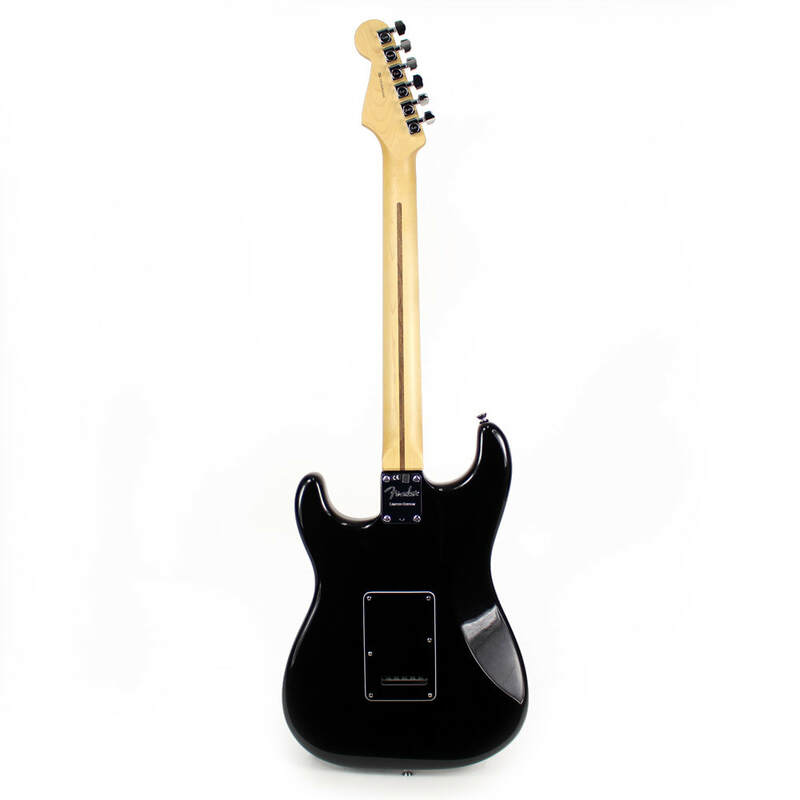 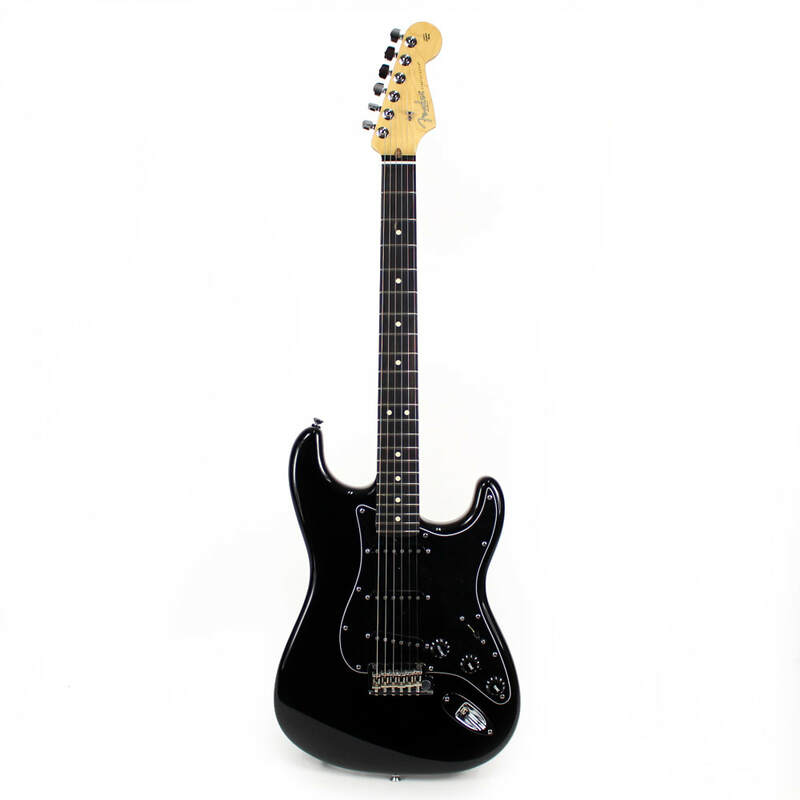 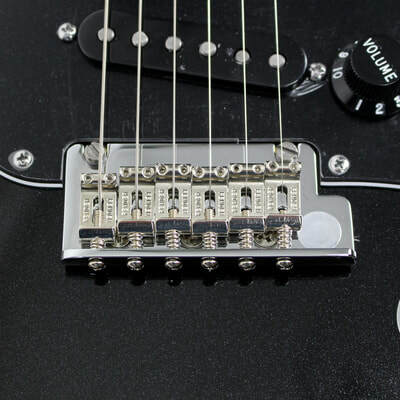 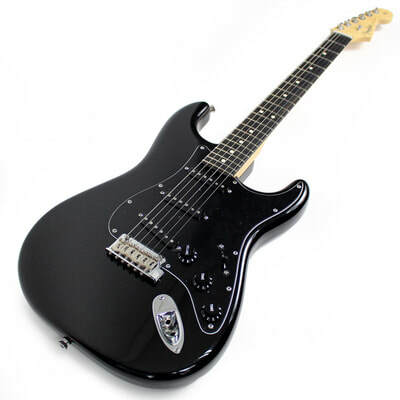 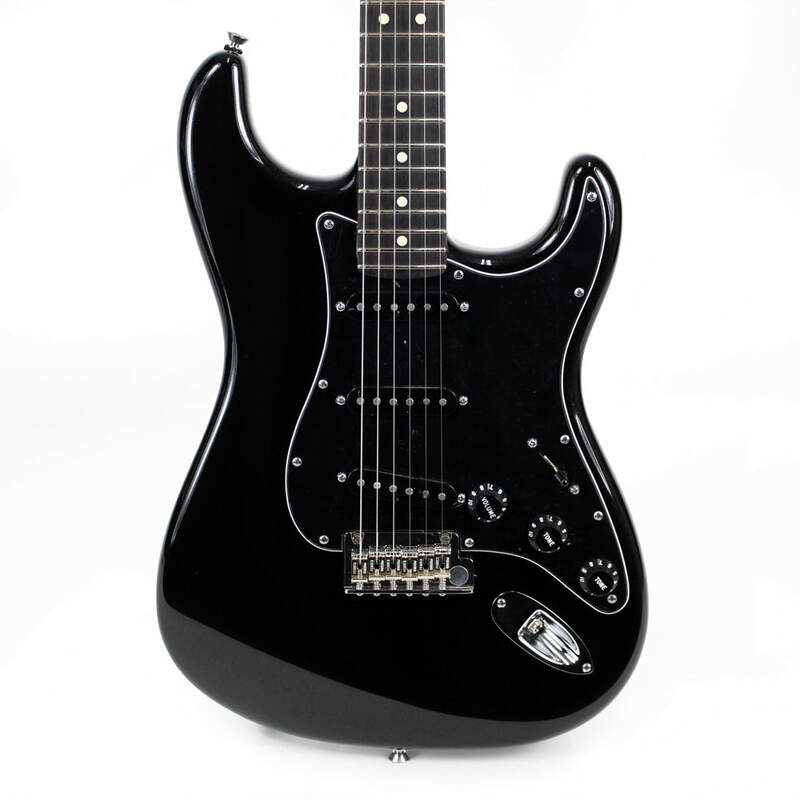 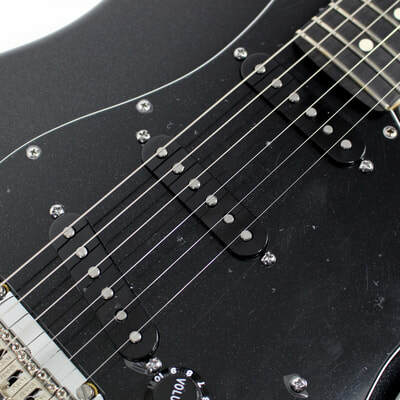 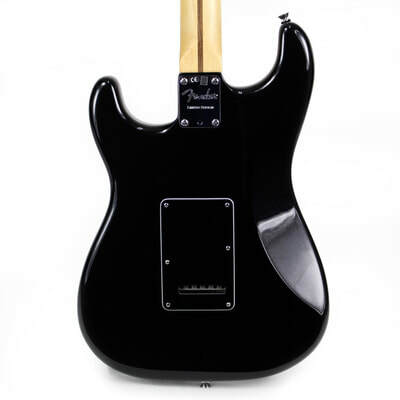 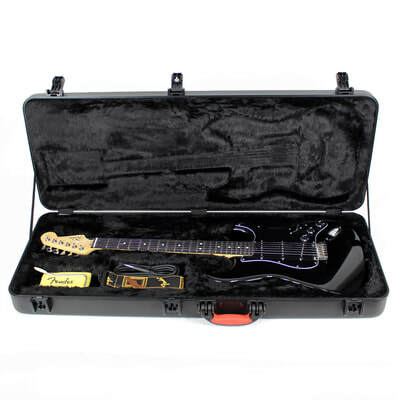 Simple and elegant, this a great American Standard Stratocaster cloaked in an all-black finish complemented by a black pickguard, black control knobs, black pickup covers and—in a rare touch for a Fender instrument— a smooth-playing ebony fingerboard. 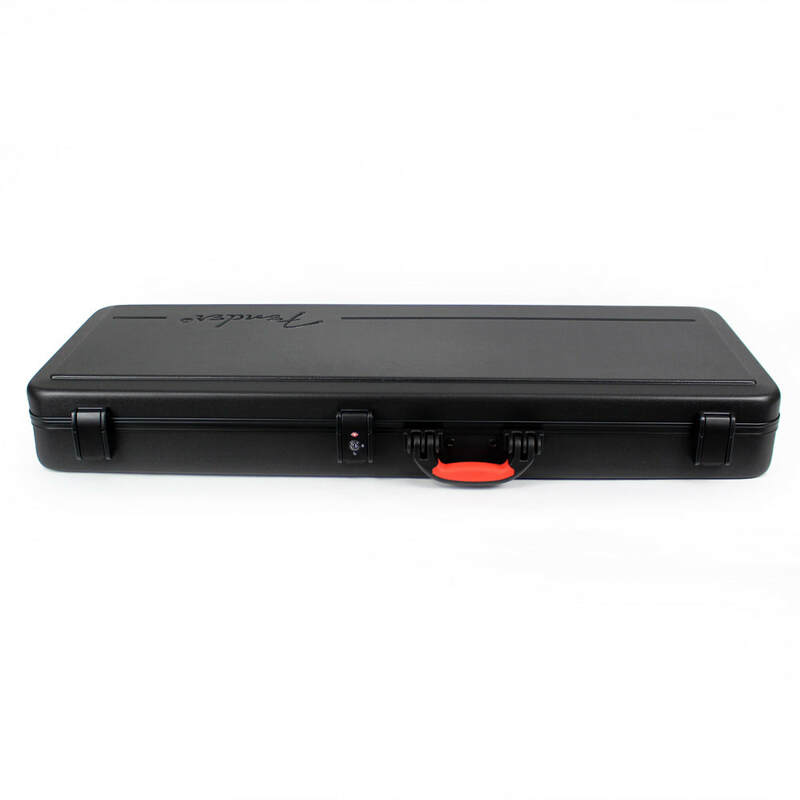 Its Mystic Black Metallic finish lends an air of noir-ish sophistication, complemented by fleeting hints of sparkle. 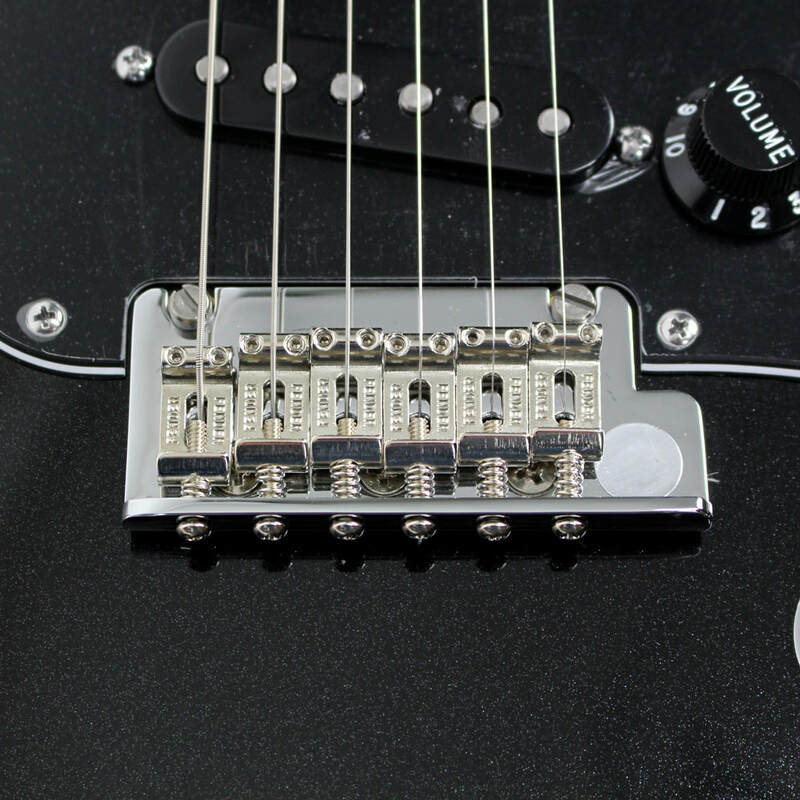 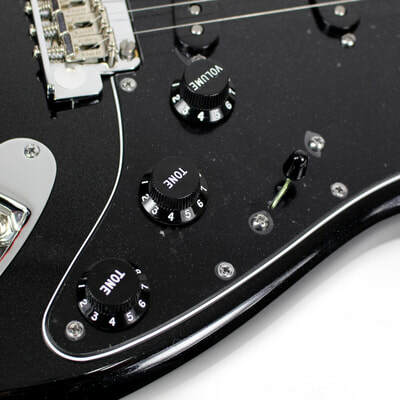 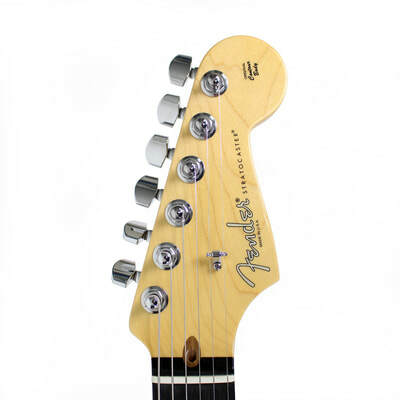 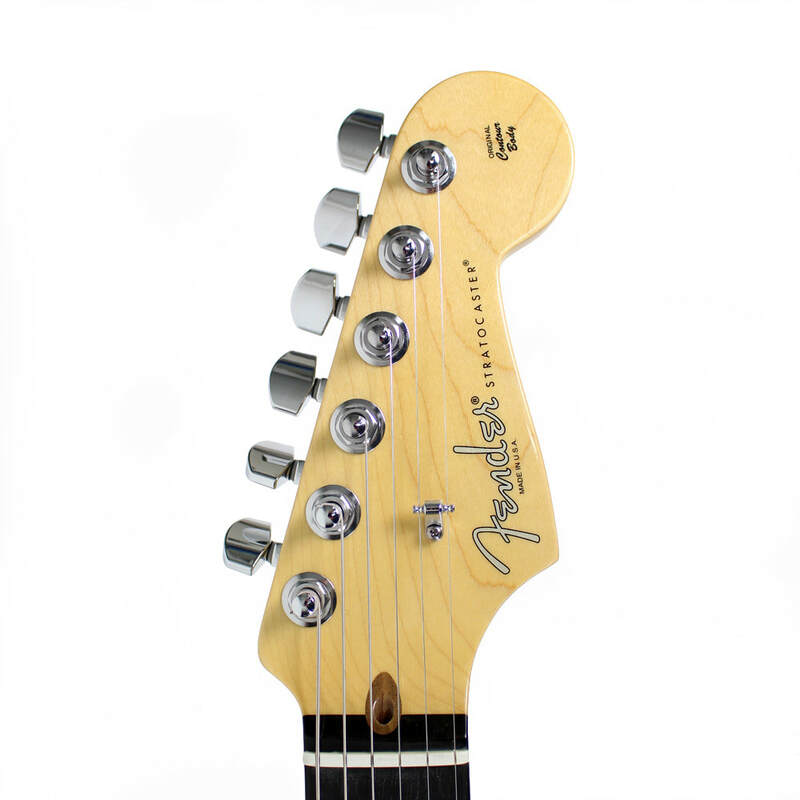 Its three single-coil Custom Shop Fat '50s pickups deliver warm and crystalline classic Stratocaster tone.